Malibu's autumn arrived late this year. Hot weather and warm water—harbingers of El Niño—lingered late in the season, prolonging summer season long past Labor Day—beach season's unofficial end. 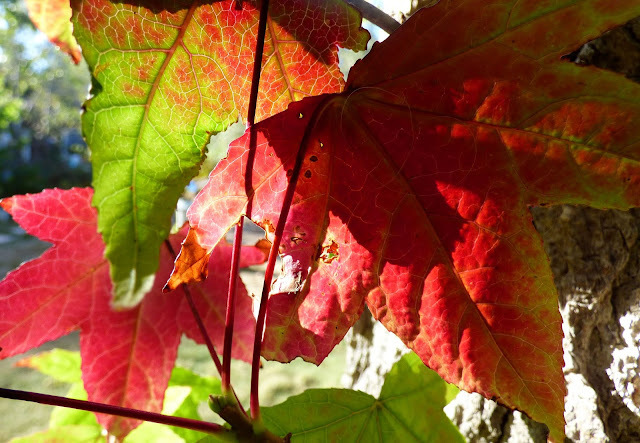 Even the liquidambar trees, the most dependable source of autumn color in coastal gardens didn't take the threat of winter seriously until Thanksgiving week. Autumn has arrived at last, bringing with it much to be thankful for. 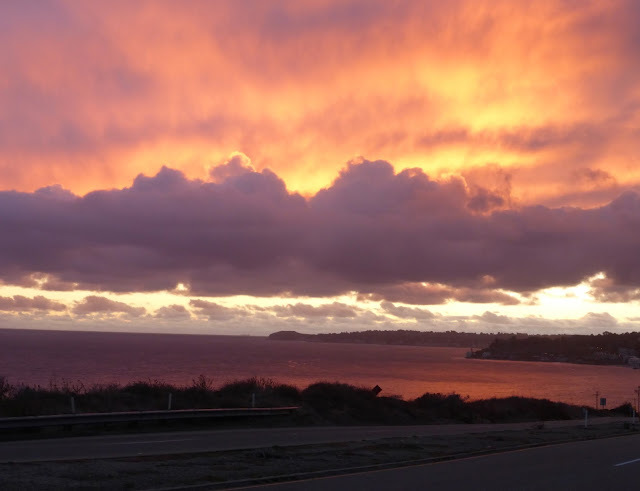 There is no shortage of things to give thanks for this year in Malibu. That we've made it this far without a major wildfire is a blessing everyone can agree on, that El Niño is holding off long enough to give everyone an opportunity to prepare for the worst is another. 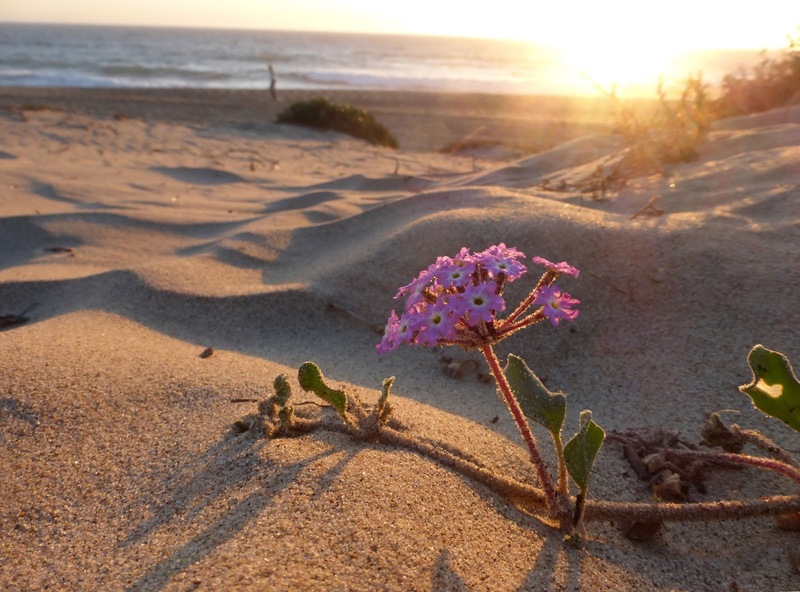 So far, 2015 has been a stellar year for local conservation issues. 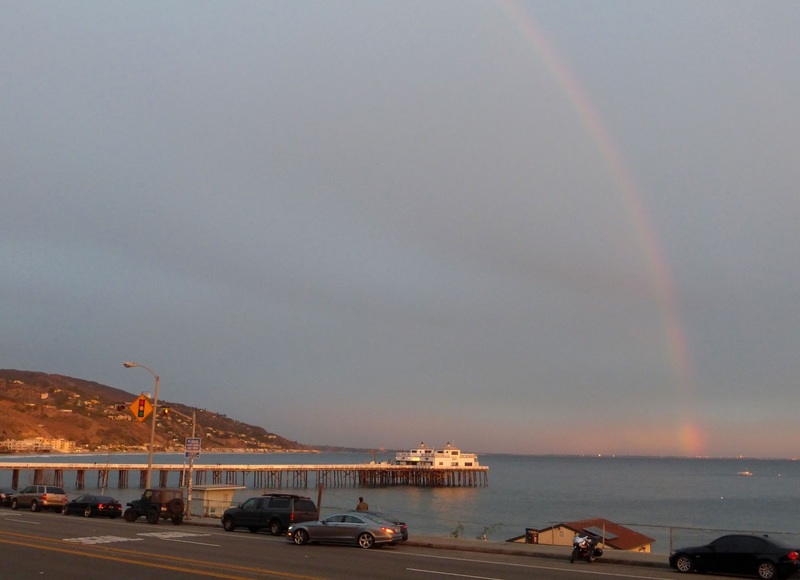 Measure W was defeated by nearly 60 percent of Malibu voters, sending a 38,000-square-foot shopping center back to the drawing board and the clear message to developers that Malibu residents do not want oversized development projects. Although it looks green, peaceful and still rural from the top of the Serra Retreat, the Malibu Civic Center was ground zero for Political activism this year in Malibu. That bare patch was the Measure W battleground, while the PCH sycamore and the row of eucalyptus trees are visible in the distance. 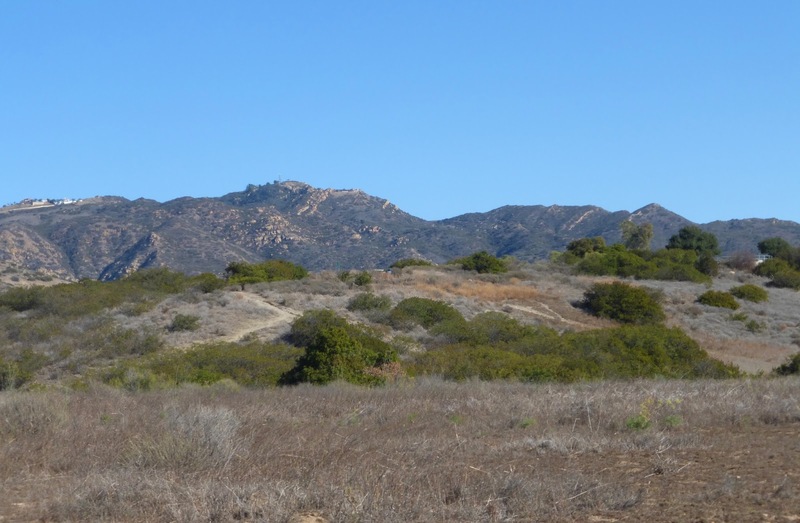 The Los Angeles County Board of Supervisors reined in run-away vineyard development in the North Area of the Santa Monica Mountains. 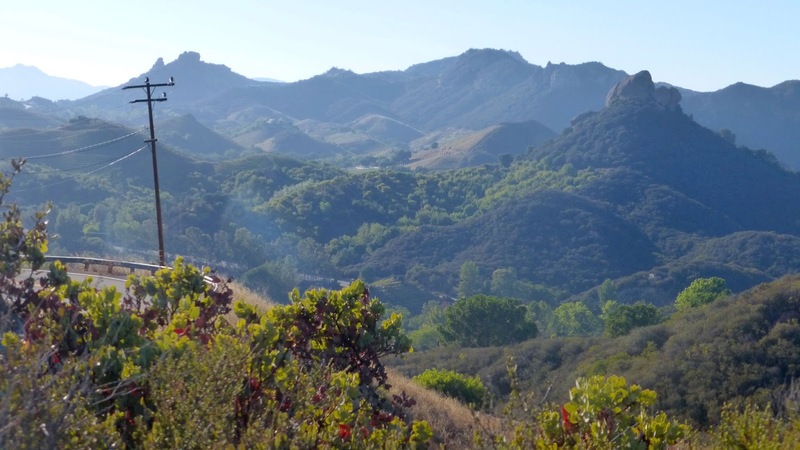 The Los Angeles County Board of Supervisors has cracked down on the mad rush for vineyards in the north area of the Santa Monica Mountains (21,000 acres located mostly between Mulholland Highway and the 101) after 50 new permits were filed. New plantings can't exceed two acres and must pass strict environmental review. The campaign to build a wildlife overpass over the 101 Freeway at Liberty is off to a strong start. The City of Malibu is making progress towards a rodenticide ban to protect wildlife. The vote on U2 drummer's obscenely large ridge top housing development was postponed once again by the Coastal Commission and sent back for a less intrusive redesign. The California Coastal Commission delayed voting on U2 drummer David Evan's oversized ridge top housing development to give his development team time to redesign and downscale the project. The original project would have dominated this largely undeveloped section of the Santa Monica Mountains. 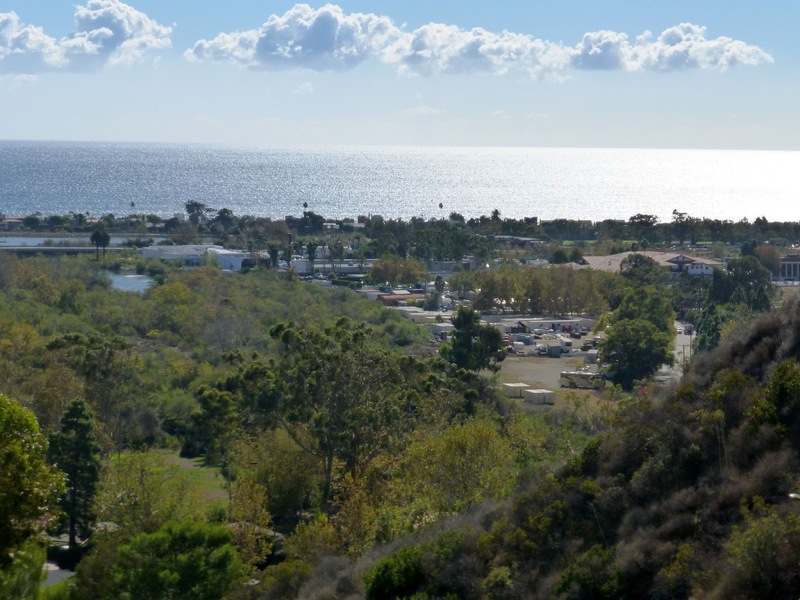 The big battle for local conservationists in 2016 may not be over the background, but the foreground—Bluffs Park Open Space, where the City of Malibu hopes to construct sports fields and recreational facilities. 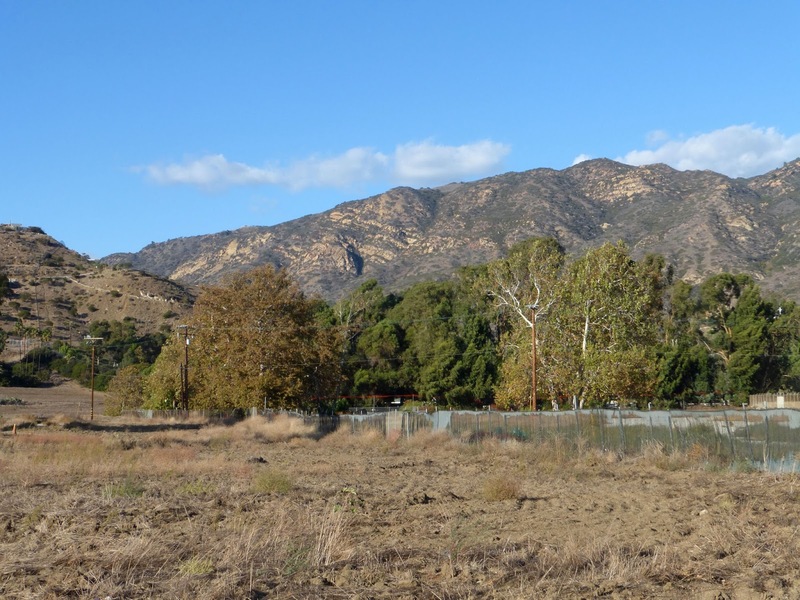 A plan that has already attracted opposition from the Sierra Club. Malibu activists successful campaigned to save the heritage sycamore tree on Pacific Coast Highway at Cross Creek Road from a development-driven turn-lane expansion. The five-house subdivision next to Malibu Bluffs Park was reduced in height if not in size, and moved back from the bluffs. Local activists joined their voices to the successful effort to end Sea World's orca breeding program in San Diego. After years of pressure from conservationists and despite a still powerful fur lobby, California passed a ban on trapping bobcats. And on the national level, the federal government has begun enacting protections for the monarch butterfly, including the EPA's decision to revoke approval for Dow's highly toxic "Enlist Duo" herbicide. All of these stories, whether national, statewide or local, begin as grassroots efforts—the work of a handful of volunteers—but they also play out on a larger scale. Malibu voters rejected a proposal to permit developers to build a shopping center and grocery store on the corner of Civic Center Way and Cross Creek Road. The developer gambled on whether the promise of a Whole Foods would be enough to entice residents into bending the city's zoning requirements. It wasn't. Municipalities and development interest all over the county were watching the outcome of Measure W, to see if this first test of Measure R, the grassroots initiative that requires commercial development over 20,000 square feet to be put to a vote and also limits chainstores, would hold up. It did. And the Liberty Canyon overpass was featured in Scientific American this week. In Malibu, a coalition of activists and city officials are seeking to ban deadly rodenticides that are wiping out local wildlife. Bobcats, like this Point Dume resident, are at high risk from secondary poisoning, but they are no longer the targets of trapping for the fur industry. 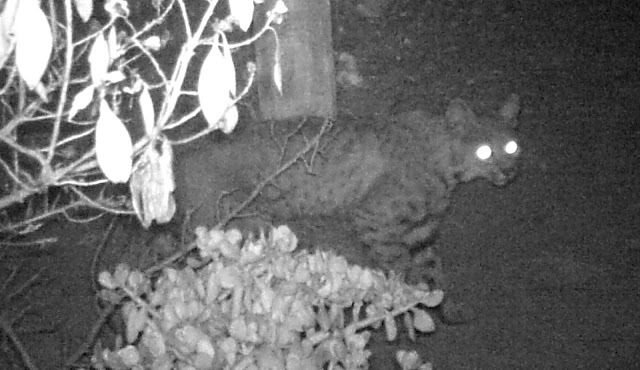 The California Legislature passed a ban on bobcat trapping earlier this year. And the battle over rodenticides? Grassroot efforts like the one being made by Poison Free Malibu put the plight of poisoned wildlife in the spotlight and ultimately will help change policy on the state and federal level. There was one story that is dear to our hearts here at The Malibu Post that slipped by without much media fanfare. Earlier this year, the Department of Fish and Wildlife's announcement that the California sea otter is finally free to return to its historic southern range, including Malibu. Otters like these, photographed in Moro Bay, may once again be a frequent sight in Malibu, now that new Fish and Wildlife regulations permit the species to return to their historic southern range. Before it was threatened with extinction, the southern sea otter once lived in the kelp forests along the Malibu coast. Earlier this year, the U.S. 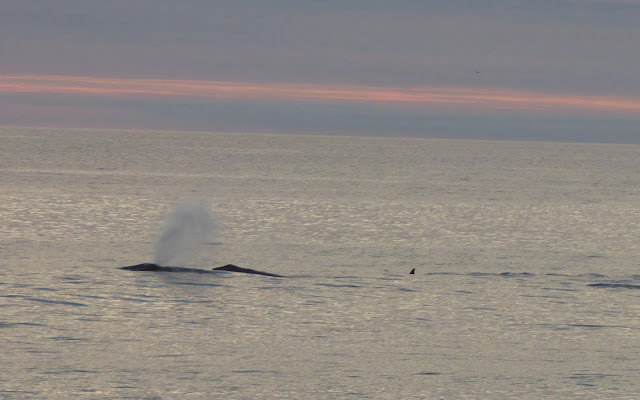 Fish and Wildlife Service removed restrictions that prevented the marine mammal from returning to its historic range in Southern California, after decades of being sequestered in a limited portion of the Central Coast and Channel Islands. Hunted to the edge of extinction by the fur trade—in 1935 the population was estimated at just 50, the southern sea otter was listed as an endangered species in 1972. According to the Monterey Bay Aquarium, the population currently numbers approximately 2000 and is still threatened. An oil spill or other disaster has the potential to wipe out the species in the wild. For decades the southern sea otter has been restricted to a small portion of the Central Coast centered at Monterey Bay, despite once having a range that extended all the way to Baja California. Fishing interests have repeatedly pressured the federal government to relocate sea otters that migrate further south. However, a federally funded program to relocated otters to a new colony at San Nicholas Island was a fiasco. The new plan allows for the the animals to recolonize the south coast of the mainland without human interference. Otters are occasionally observed in western Malibu, off Leo Carrillo and Nicholas beaches, with time and luck they may once again become residents, and the Point Dume Marine Protected areas provide a safe haven for them to potentially thrive. 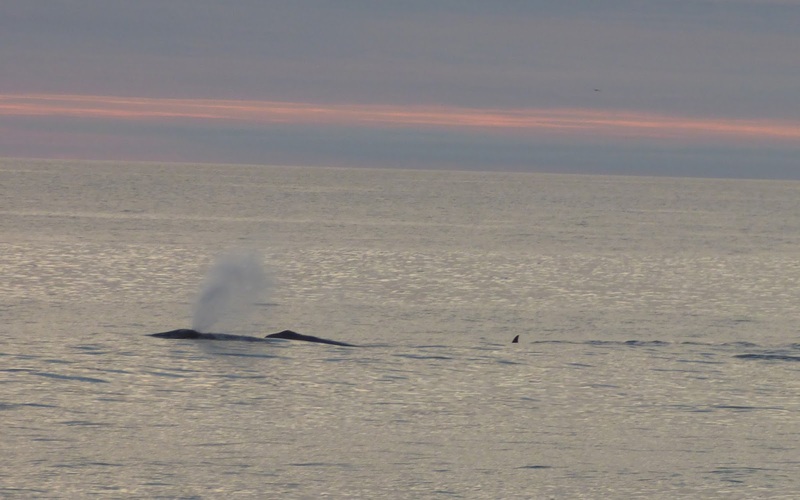 Imagine looking out from the whale watching platform at the Point Dume Headlands and seeing not only sea lions, dolphins, and whales, but sea otters? Thanks to the activists and conservations and volunteers, that vision is a big step closer to being a reality. 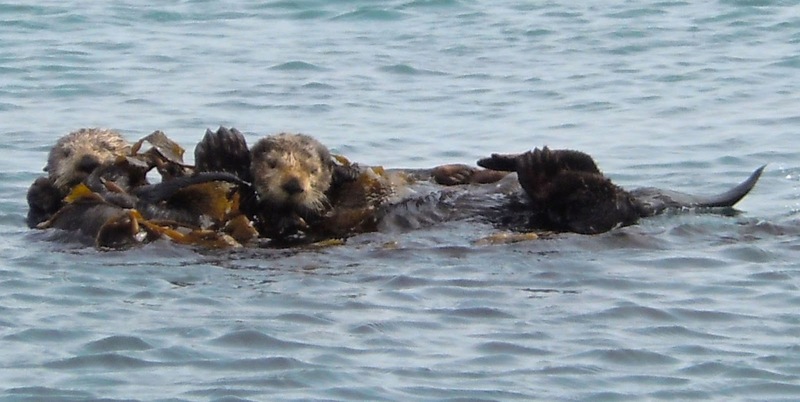 Thanks to a new US Fish and Wildlife management plan, Malibu's whales, dolphins, and sea lions may be joined once again by the sea otter, free at last the return to local waters. All three of these species have had a brush with extinction due to human shortsightedness. They are only still here because not everyone was blind to their plight and someone was willing to fight their continued survival. All these things have happened because people cared, and came together, and refused to be discouraged by what sometimes seems like impossible odds. There are many more battles ahead, and some that are still being fought ferociously: Malibu parents continue to seek justice and remediation in the Malibu school PCB contamination scandal; the campaign to save the monarch butterfly from extinction is just getting started, and the Liberty Canyon wildlife overpass still has a long way to go before it can be built, with time running out for mountain lions and other threatened species isolated by the freeway. The important part is that there are people who care, and who work for the good. Malibu residents feel passionately about local issues. While we may not always agree on the issues, we can still meet midway and come together for the important things and in times of need. That's something to be truly thankful for at Thanksgiving and always. A rainbow appears to encompass all the aspects that make Malibu unique: the ocean and the rugged mountains, the complex and colorful history that includes the pier and Surfrider Beach, Pacific Coast Highway—the divisive, dangerous, essential thread that ties the community together while also dividing it, and the constant conflict between development and conservation. I had the opportunity as a reporter to cover many of this issues, and to talk to the people involved. They are our own Rachael Carsons and John Muirs. They commit their time and energy out of a passion for the things they love and get no reward other than the knowledge that they are fighting for something worth fighting for. Sometimes that fight takes years or decades. We may not remember the names of the ones who began it, but, in Robert Frost's words, "men work together, whether they work together or apart." November 22nd was the Malibu Post's second anniversary. We are thankful for our thoughtful, kind, and wonderful readers, for our neighbors, friends, and family, and for the opportunity to live in a community where people truly care about the environment.